Michael J. 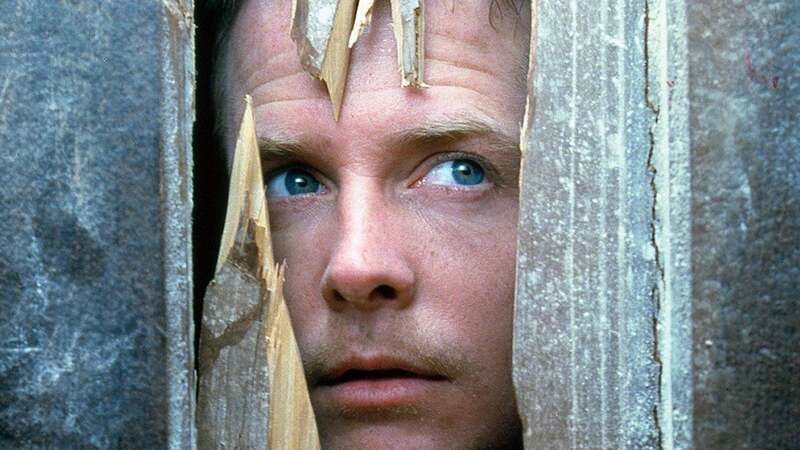 Fox in the awesome horror comedy The Frighteners. With its bright white spine, The Frighteners called to me from my shelf of old DVDs. "Rewatch me," it seemed to say. "People forget that I'm the movie that made The Lord of the Rings possible. I'm so much more than a VFX ghost story. Trust me. Bring me back to life." So I did, and the alluring DVD did not tell a lie. Released in 1996, The Frighteners was co-written and directed by Peter Jackson, executive produced by Robert Zemeckis, and stars Michael J. Fox. Though the film is largely overlooked these days, Jackson considers it a crucial bridge in his career. After making the indie hit Heavenly Creatures, Jackson got Universal to finance The Frighteners, a film he co-wrote with his partner Fran Walsh. It was his first studio movie with a real budget, but for it to work, he'd need to invest heavily in his then-tiny digital effects company, Weta. Once the film was over, Jackson and Weta had way more computing power than they thought they needed so they had to find a new film to justify all the money spent. Enter a little film series called The Lord of the Rings. Thus, in a way, The Frighteners helped give birth to Jackson's multi-billion dollar Lord of the Rings franchise. Trini Alvarado and Death in The Frighteners. Comparing those films isn't quite fair though. The Frighteners is a medium-sized movie by a filmmaker just starting to find his voice. 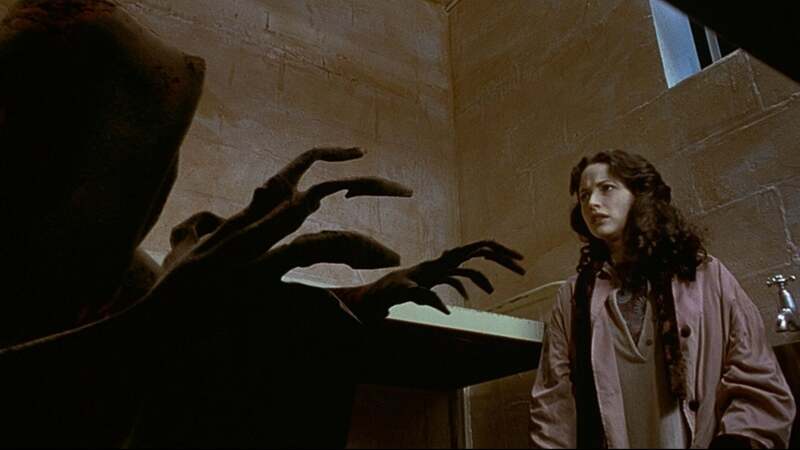 And yet, it still holds its own as a wonderful blend of scares and comedy with lots of surprises along the way. Those surprises are so effective, 20 years or so removed from my last viewing, they still worked on me like they did in 1996. 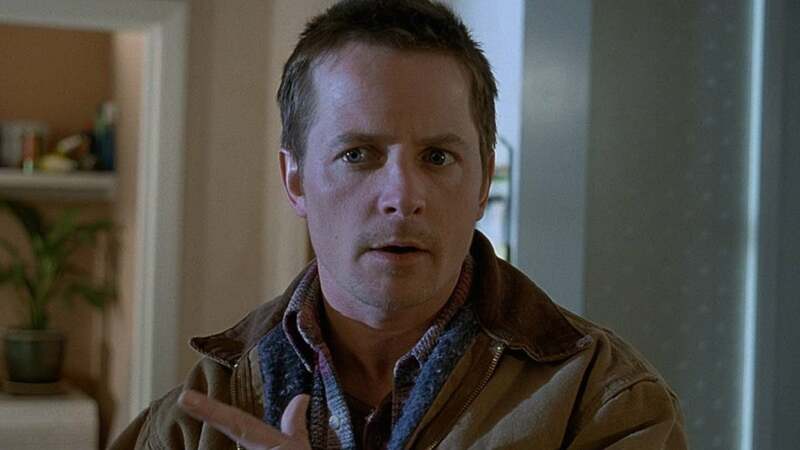 Set in a small rural town, The Frighteners presents a really smart twist on the idea of ghostbusting. Michael J. Fox's Frank Bannister is a paranormal investigator who tricks people into paying him to remove ghosts from their house... even though it's him sending the ghosts to their house to haunt them in the first place. He's a con man with a connection to the afterlife. Soon, Frank's abilities get him mixed up in a historical killing spree and he has to try and stop it. From the first scene of the movie, it's obvious Jackson and Weta were pushing digital effects to their 1996 limits. Many shots of ghosts travelling through walls or flying through the air don't look great. That's mostly forgiven, though, because Jackson infuses the whole film with a kinetic energy and tone. All throughout, the audience torn between whether to be scared or laugh, which is a nice place to be. The Frighteners is also a love letter to film history, with plenty of references to The Exorcist, The Evil Dead, The Shining, Back to the Future, and more. Like the best filmmakers do, Jackson took the kind of visceral, offbeat horror style he was already known for, filtered that through all the films that inspired him, and spat out a result that was new and exciting. 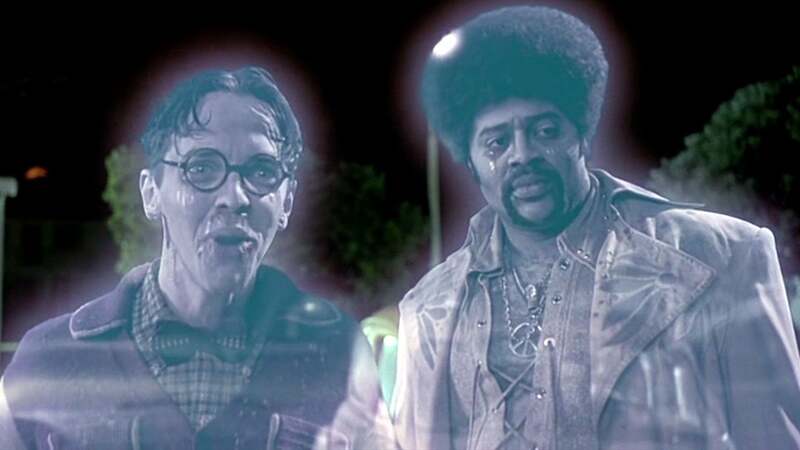 Jim Fyfe and Che McBride are hilarious ghosts in The Frighteners. The other thing that stands out about The Frighteners is its incredible pacing. There's not a boring moment in the film and almost every single scene adds new layers to the film's multiple mysteries. The film's villain feels completely unbeatable and the lengths the characters go to fight it are unique and shocking. Then, just as you think the movie has reached its climax, it keeps going for another 30 minutes, twisting the plot again and again before it finally comes to its conclusion. As Frank Bannister, Michael J. Fox has maybe never been better. He's a shadow of his Marty McFly hero-self, but very much on purpose. Frank is a broken man with a troubled past. He's not a great person, and that pathetic nature permeates the film, but there's the potential for greatness inside him. You cheer for him because we know he's doing his best, but we also pity him, which gives the film a nice pathos. Beyond Fox, The Frighteners is filled with sharp supporting performances that elevate the movie beyond its special effects. Dee Wallace (E.T.) and Trini Alvarado anchor the movie with understated, emotionally crucial performances. R. Lee Ermey invokes his Full Metal Jacket drill instructor as a ghost, giving the film a fun dose of humour. Jake Busey plays a truly creepy killer that you love to hate, and lesser-known actors like Che McBride, Jim Fyfe, John Astin, and Jeffrey Combs all turn in memorable performances. Julianna McCarthy, as a creepy old lady, is scarier than most of the ghosts. As Frank Bannister, Michael J. Fox is at the top of his game. Ultimately, the alchemy of all of this is what makes The Frighteners so good. Jackson's direction, his and Walsh's script, Fox's performance, the ghosts, the cast - take any bit of it away and the whole thing comes tumbling down. Thankfully, though, it's all there and the result is a very accessible, very fun, slightly dated, but still-surprising horror comedy from one of the genre's best. It makes you wish Jackson would make more small, original movies like this, and not just big Oscar-worthy films like The Lord of the Rings. He's truly a master at crafting unique, creepy stories, especially ones we don't see coming... unless they talk to us from our dusty DVD shelves.